Gardens are great for lounging around in during the summer months, but they're also perfect if you want to save money on your weekly shop. If you're wondering how to save money on vegetables, the answer is simple: plant some in your garden. You don't need to dig up your entire lawn, either - all you need is a small corner of green space. 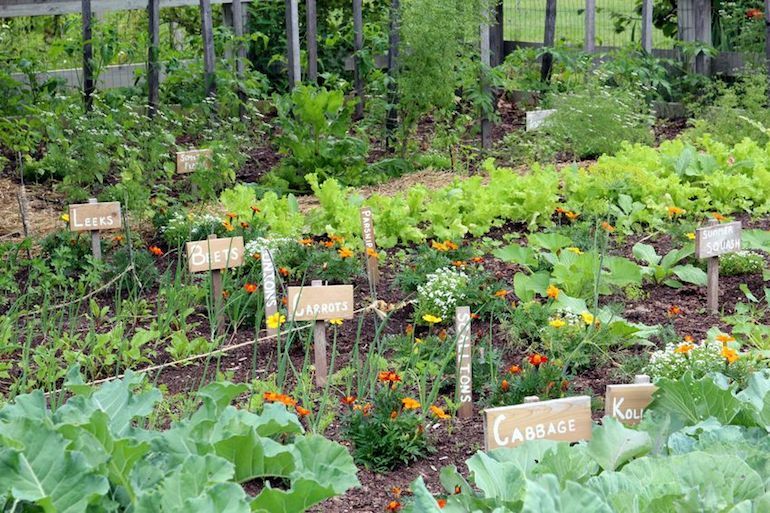 Even the smallest of vegetable plots can help you to save money while indulging in lots of fresh, healthy and tasty produce, all without a pricey trip to the farmers' market. See how much you can save by growing some of these delicious summer vegetables. Nothing beats a juicy red tomato straight from the vine in the middle of summer. They do best under glass, either in your greenhouse, conservatory, or beside a south facing window. Just a couple of plants will give you a bumper crop of tomatoes, perfect for slicing into salads or preserving into pasta sauces for the winter months. If you don't have much space in your garden, don't worry - there are some strains of cherry tomatoes that are happy growing in a hanging basket, and they even offer a sweeter, more intense flavour. Loose leaf ‘cut and come again' lettuce varieties grow well during the summer months. Check the seed packet to make sure you're purchasing a cut and come again crop - they're the best ones if you're budgeting, as they regenerate themselves. All you need to do is harvest the young leaves and they will grow back ready for your next salad. Make sure you always have a fresh head of lettuce ready for munching by sowing small batches of seeds every two weeks until the end of August. French beans and runner beans are popular with British gardeners; they're juicy, tender and don't take up much room in your garden because they grow on vertical trellises, while dwarf varieties are happy growing in small pots. Head to your nearest garden centre and pick out a secure trellis; you can use our free money management software to keep on top of your garden spending. Once you're set up, it's smooth sailing - beans are easy to grow, low maintenance, and crop until October. Courgettes are notorious for bumper crops, which is ideal when you're budgeting. Having your own courgette plants also means that you can experiment with recipes more often. Take a leaf out of Jamie Oliver's book and stuff the yellow flowers with ricotta and mint, or pick the courgettes young and eat them raw in a salad. Sow the seeds straight into the ground from mid-May in a nice sunny spot. As well as sunlight, courgettes need a lot of food, so before planting them enrich the soil with compost. If you've got any more summer budget gardening tips, let us know in the comments below.